Several annual events will bring thousands of additional motorists into Centre County during the next two weeks, and myriad state and local road projects will make travel a little more difficult. With Ag Progress Days, Centre County Grange Fair and Penn State student move-in all getting under way next week (plus Penn State commencement on Saturday), PennDOT and local government representatives on Thursday discussed the status of various construction projects, what's being done to lessen congestion during increased traffic, and what's coming up in the future. "I think Centre County’s quite blessed in that we’ve got some good funding in order to do some impactful road work and some impactful improvements," said Marla Fannin, PennDOT District 2 press officer. "We appreciate the patience drivers have shown to us and the courtesy they have shown to each other. One of the things in particular we’ve tried to do particularly with Atherton Street is try to improve our communication and working with external partners to provide as many regular updates as possible." A long-term traffic pattern change between West Aaron Drive and North Hills Place currently has two lanes open inbound heading toward University Park and one lane open outbound. 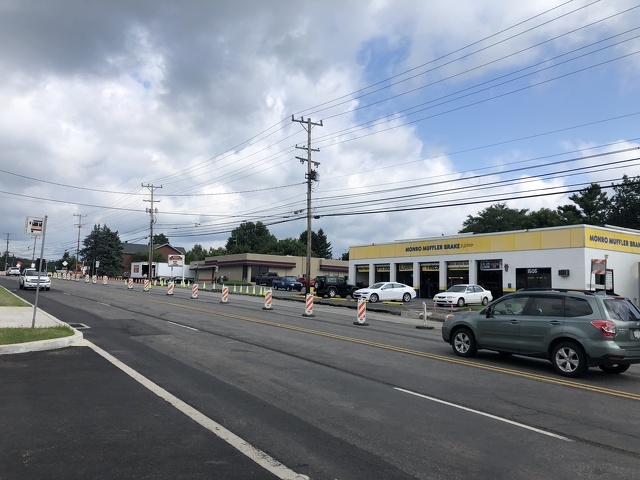 That pattern likely will remain in place until Friday when, in anticipation of the heaviest student move-in traffic, the contractor is expected to maintain two lanes inbound and outbound through the weekend, said Marc Maney, PennDOT project inspector for the Atherton Street project. Left turns are restricted through the length of the work zone. Utility relocation work is currently taking place between North Hills Place and Cherry Lane, but Maney said the bulk of work next week is expected to occur in the outbound lanes between Clinton Avenue and Aaron Drive. The current portion of the Atherton Street improvement project is taking place through 2019. Most of the road work this year, which Maney said is expected to wrap up for the season, is taking place between Aaron Drive and Clinton Avenue/Blue Course Drive, with the majority of the work next year continuing through to Park Avenue. "Just try to be patient with us and continue to drive in a safe manner so we can all arrive home safely," Maney said. Atherton Street work won't end when the Aaron Drive to Park Avenue section is completed. After that, work will begin for the stretch from Park Avenue to either West Beaver Avenue or Westerly Parkway. Maney said how the project is phased depends on design and funding, but the plan is to eventually reconstruct the road to Westerly. Overnight milling and paving is scheduled for Interstate 99 northbound near the Valley Vista Drive exit beginning at 7 p.m. on Monday, Aug. 12 and Thursday, Aug. 15. Lanes will be mostly clear during the daytime hours next week, but intermittent closures may occur for guide rail placement along the current 3-mile project area. On Route 322 in the Potters Mills Gap work zone, the crossover between Decker Valley Road and Sand Mountain Road, 1-mile east of Potters Mills will remain in place with one lane available in each direction and an 11-foot width restriction. A detour for westbound traffic currently in place -- which directs vehicles to Route 144 and Route 45 -- will be lifted at the end of the work day on Friday, Aug. 10 and will remain lifted through at least the conclusion of the Grange Fair on Aug 25. Fannin said that, likely beginning the week of Aug. 27, the detour will be reimplemented for road widening work. The current work is phase three of the Potters Mills Gap project, which began in 2015. Phase three will reconstruct Route 322 from Sand Mountain Road to Potters Mills, including a new Route 322/Route 144 intersection that will be a part of the local access road. PennDOT expects the new road to be open in the fall of 2020. Overnight paving will take place tonight (Aug. 9) and again Sunday through Wednesday on Route 26 East College Avenue, from East Calder Way at the Beaver Avenue/College Avenue junction in State College to Elmwood Street in College Township. On Route 26 at the Bellefonte interchange, overnight milling is scheduled for tonight and with paving on Thursday night (Aug. 15) into Friday morning (Aug. 16). Work will take place between 6 p.m. and 6 a.m. and drivers can expect potential delays with flaggers in the roadway. Douglas Shontz, borough communications specialist, said that because of heavy rain and other delays, road work in State College could have some impact on traffic during student move-in. Beginning at 9 p.m. on Sunday, the 100 block of South Allen Street, between College Avenue and Beaver Avenue, will be closed to vehicle traffic and parking for the borough to perform milling and paving. The road is expected to reopen when paving is complete on Tuesday afternoon. The replacement of streetlights during daytime hours along Beaver Avenue between South Allen and Hiester streets is continuing and may cause periodic lane closures into early next week. State College Borough Water Authority is expected to conclude this week work on sections of South Pugh Street between Easterly Parkway and Prospect Avenue. After student move-in work on the road will resume and continue through the remainder of the summer. Easterly Parkway between South Garner Street and South Pugh Street will remain closed for reconstruction until mid-October. Shontz said local traffic and those going to Easterly Parkway Elementary School will continue to be able to access their destinations. Shontz said that with the surge in development and new building construction, the borough is working with developers and construction crews to consider traffic impacts. He added that the developers of a new building at the current Garner Street parking lot and The Standard at the corner of Atherton Street and West College Avenue have not yet informed the borough on when they will begin construction. He also said the police will be out throughout move-in weekend to help traffic move as smoothly as possible. "We’re still in the midst of construction season in the borough," Shontz said. "There are still a lot of various projects but we’re trying to coordinate those all, especially with the impact of students and families next week, that those are mitigated and people are able to come in and out of the area without many delays." Shontz added that sometime after student move-in work will begin on a new refuge island for pedestrians and cyclists on East Park Avenue, from McKee Street to near the intersection with North Atherton Street. Drainage and utility work currently is under way for a project to construct new turning lanes on Valley Vista Drive at four intersections in Patton Township. That portion of the work, which has had some lane closures, will wrap up next week and then pavement widening will begin, Patton Township Manager Doug Erickson said. "Once we get into that mode we’re going to maintain a lane of traffic in each direction," Erickson said. "They will be slightly narrower lanes but we will be able to maintain traffic in both directions while that work’s going on." The majority of the work -- which will create turning lanes at Amblewood Way, Oakley Drive, Sandy Ridge Road and Devonshire Drive -- will be completed in the fall, though some landscaping work may need to wait until spring. Erickson said a number of factors -- including timing of funding, permitting and delays -- contributed to the need to start the project now. The township also has work along the road scheduled for next year, when a new bikeway will be constructed on the west side near the tree line from Carnegie Drive to Circleville Road. 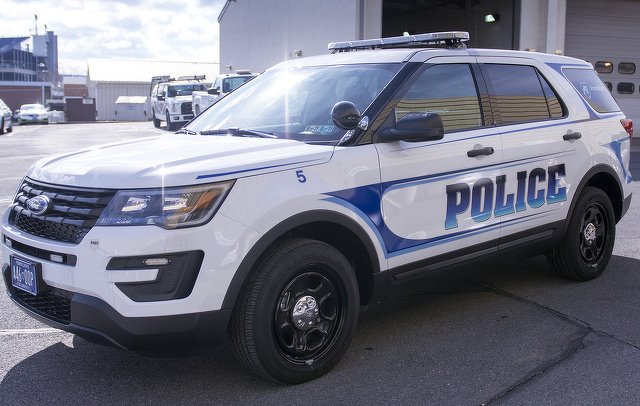 Several projects are taking place in Ferguson Township, said Ryan Scanlan, assistant engineer for the township, but they are not expected to have major travel impacts in the next two weeks. Traffic signal replacement at the intersection of West College Avenue and Corl Street is scheduled to begin on Monday. Road recycling, in which the existing pavement is milled and repaved, is scheduled on several roads including Tadpole and West Gatesburg. Scanlan said the township does not anticipate doing road work that would impact traffic for Ag Progress Days, which takes place Tuesday, Aug. 14 through Thursday, Aug. 16. Microsurfacing is expected to take place Tuesday and possibly Wednesday on Vairo Boulevard.